Marks & Spencer Simply Food occupies a location at 121-123 Bancroft, a 0.25 mile driving distance east from the centre of Hitchin (close to Windmill Hill, St Mary's Church and Brand St Car Park). The store serves the patrons of Westmill, West Hitchin, Poets Estate, Oakfield, Walsworth, Bearton, Benslow and Hitchin Town Centre. Today (Monday), working hours begin at 8:00 am and end at 6:30 pm. 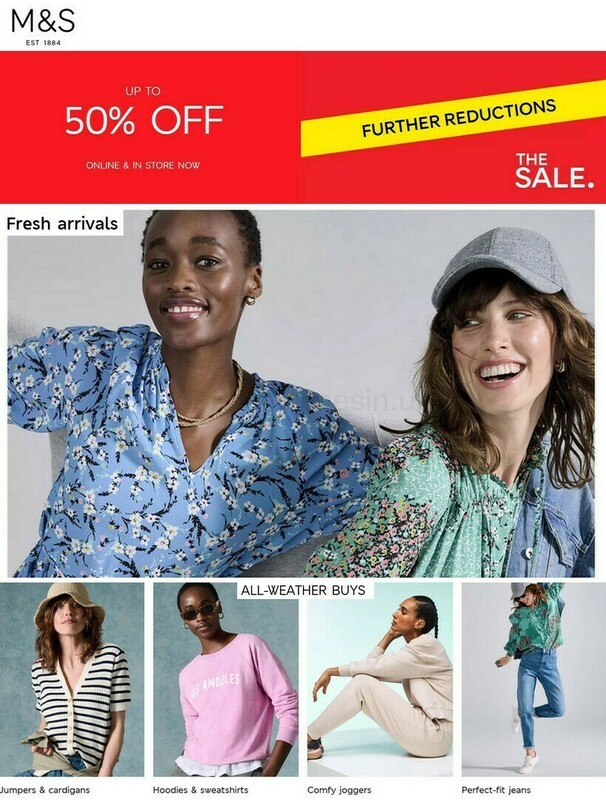 Here, on this page, you'll find other information about Marks & Spencer Hitchin, Bancroft, including the opening times, address description or customer feedback. Marks & Spencer Simply Food can be found in a good position in the vicinity of the crossroads of Bancroft and Portmill Lane, in Hitchin, Hertfordshire. The store is conveniently located a 1 minute drive time from High Street, Moss' Corner, Churchyard, Brand Street and Hermitage Road; a 5 minute drive from Grammar School Walk, Bedford Road and Walsworth Road; or a 9 minute drive time from Bunyan Road and Starlings Bridge. Please use SG5 1LS for the location via GPS units. There are a number of buses that run directly to and from Hermitage Road (Stop B), Grammer School Way, Bancroft (Stop East) and St Mary's Square (Stop L). Services: 71, 72, 80, 81, 88, 89, 188, 190, 304, 314, 81A, W12 and FL10. Visit the store from the close train stop Hitchin Station (3790 ft away). Continuous service on the Govia Thameslink Railway line. If traveling by foot you will come across Butts Close, Hitchin Library, Hitchin Priory Gardens, Hitchin Swimming Centre, Hitchin Cemetery, Bancroft Gardens, Hitchin Boys Sports Centre, Radcliffe House and Hitchin Cricket Club. The total number of Marks & Spencer locations presently open in Hitchin, Hertfordshire is 1. See an entire listing of Marks & Spencer branches near Hitchin. Please note: common operating hours for Marks & Spencer in Hitchin, Bancroft may be limited over the UK holiday period. In the year of 2019 it includes Christmas Day, New Year's, Easter or Bank Holidays. We suggest that you visit the official website or call the service line at 0333 014 8555 to get precise details about Marks & Spencer Hitchin, Bancroft holiday store hours. We always strive to supply you with the most current information. Should you find errors in the location particulars or opening hours for Marks & Spencer in Hitchin, Bancroft, please use this form to report a problem. Assist other customers by ranking Marks & Spencer with the star ranking scale. You can also write your feedback in the form provided below.